Ku-Ring-Gai (Camp K) Scout Camp is an outdoor activity camp, located on the Hawkesbury River at Holmes Drive Cumberland Reach (Near Ebenezer), 80km North West from Sydney CBD. The Camp has 17 hectares of bushland activities which includes 3.2 hectares of well drained camping grounds. Suitable for wide games, bushwalks. 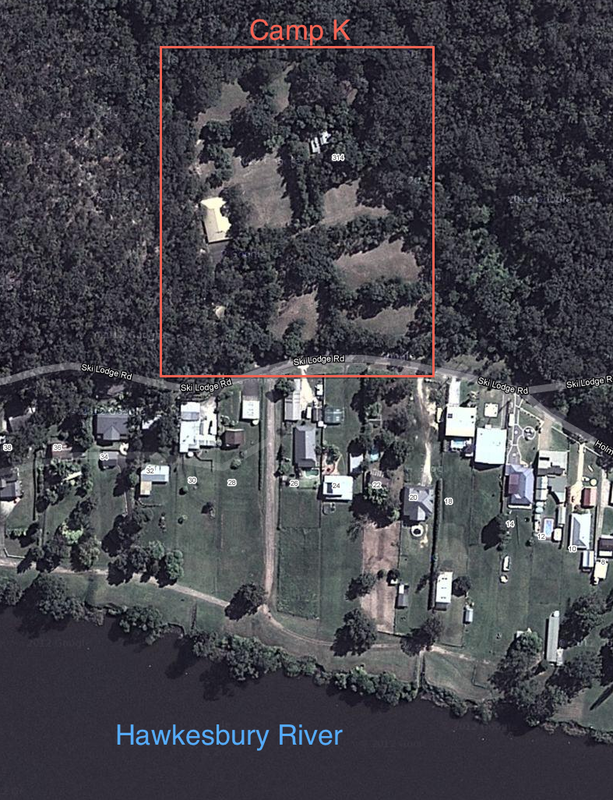 Easy access to Hawkesbury River (250m) for boating & canoeing. Aboriginal reserve nearby. It is a great camp to get away from the rat race of the city. Camp K is part of Sydney North Region, although the camp is not located in Sydney North Region. There is now mobile phone coverage for Telstra customers. There is strong 4G coverage.